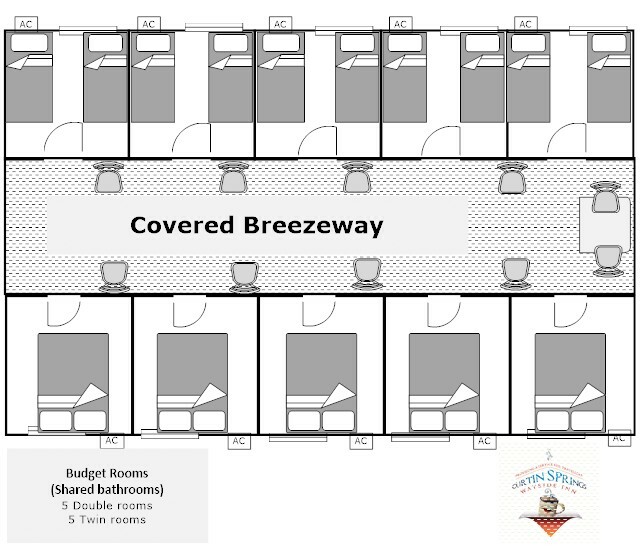 Budget rooms have shared bathroom facilities and are available as double or twin rooms, sleeping one or two people per room. These are very simple rooms with just the beds (including linen) in the rooms – there are no other facilities inside the room. The shared bathrooms are at the end of the building. Keeping the rooms very simple means they are a great option for budget conscious travellers.